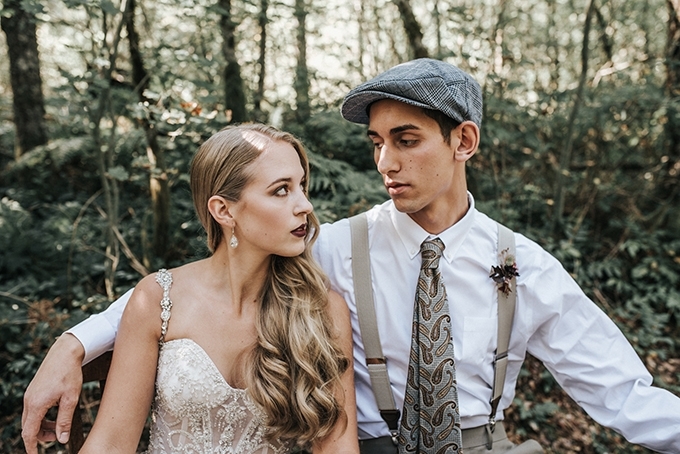 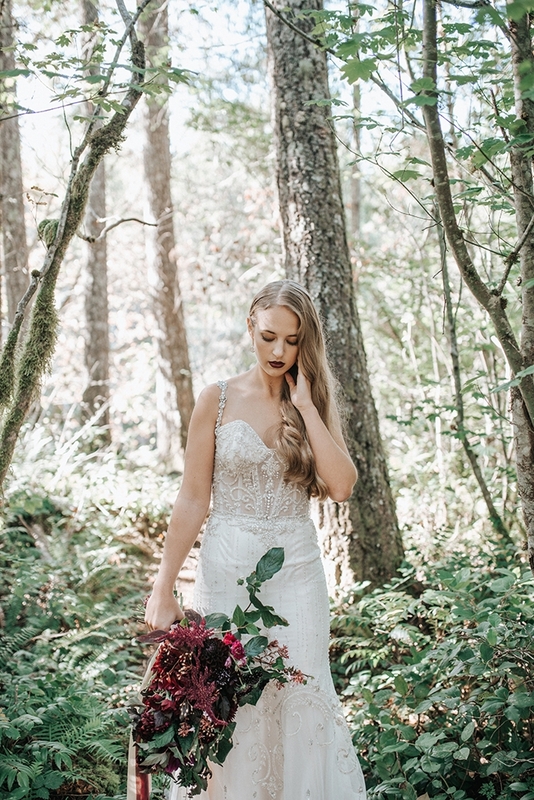 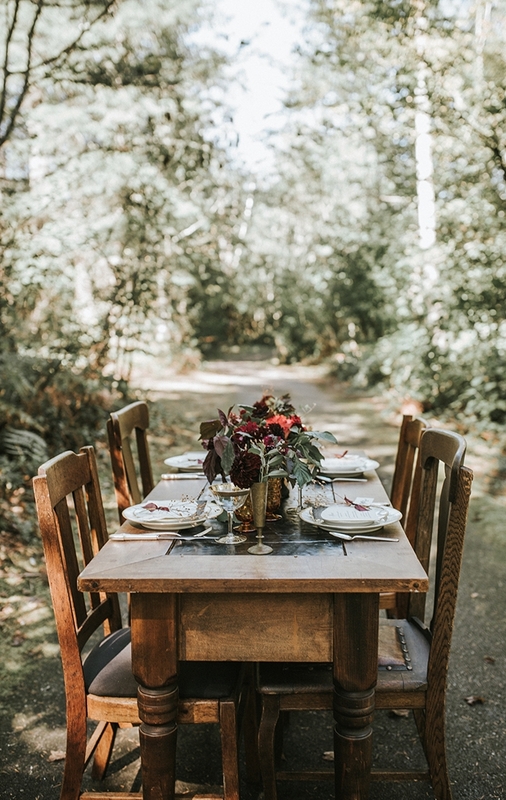 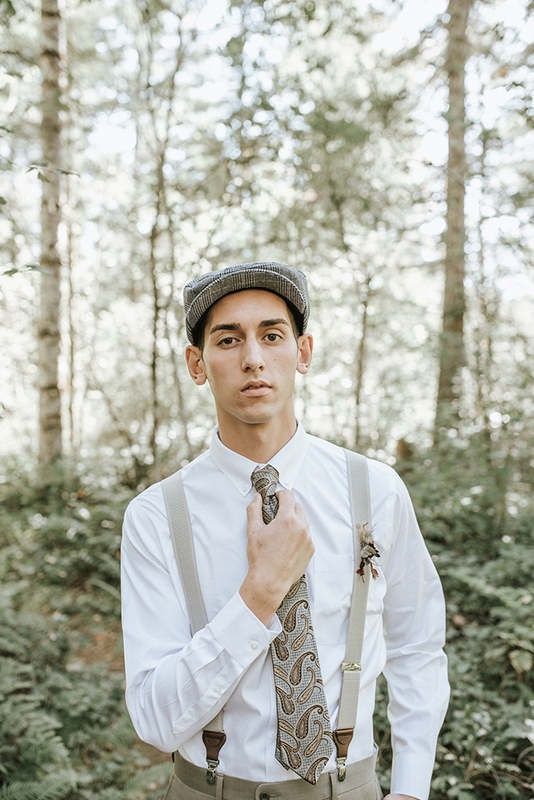 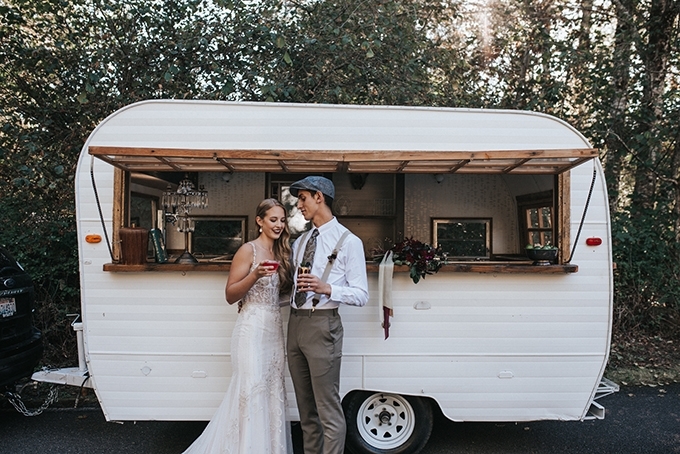 The 1930’s meets rustic forest in today’s vintage wedding styled shoot from Mossfloor Photography. 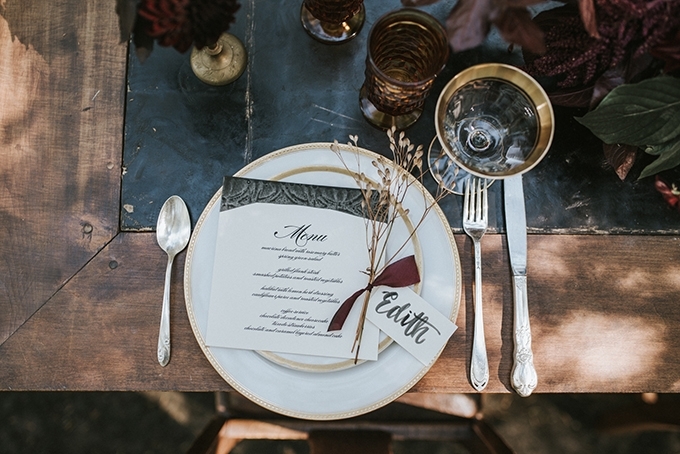 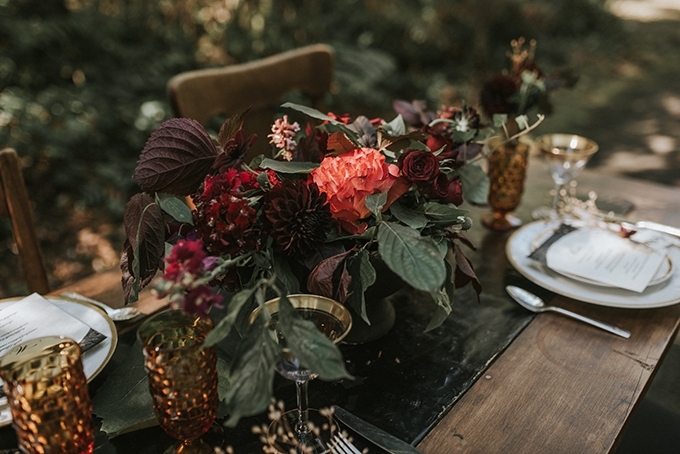 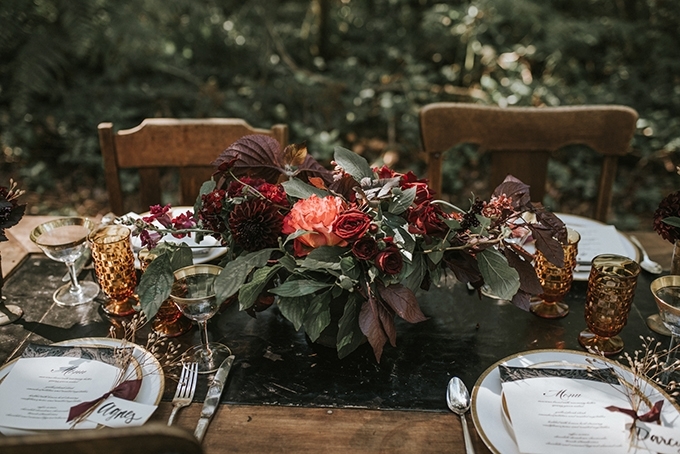 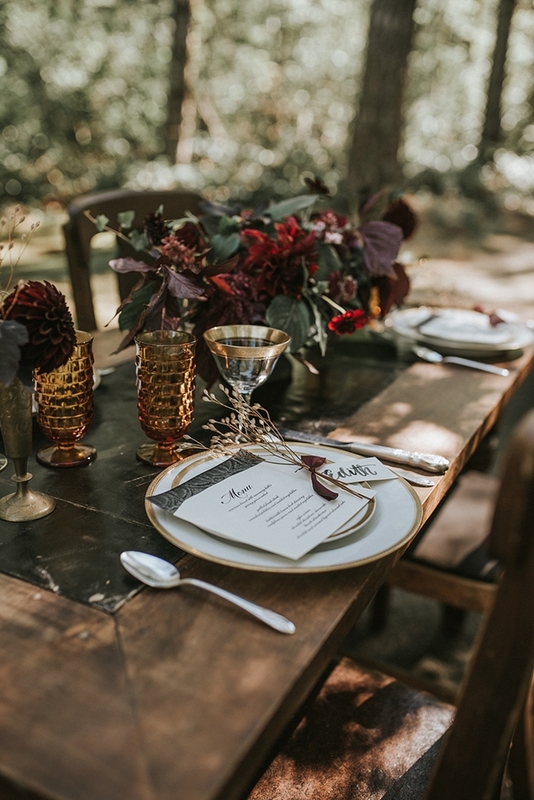 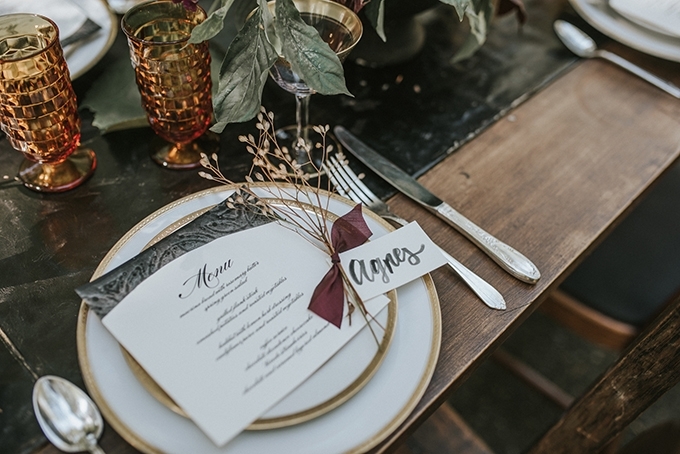 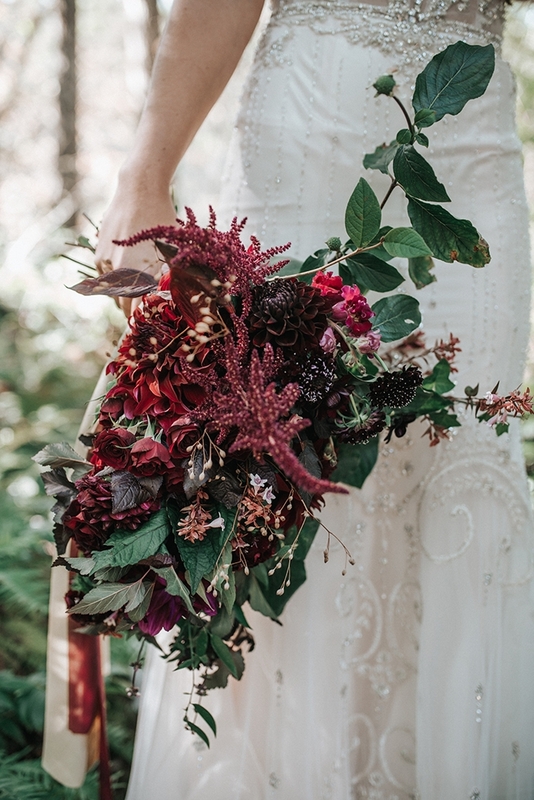 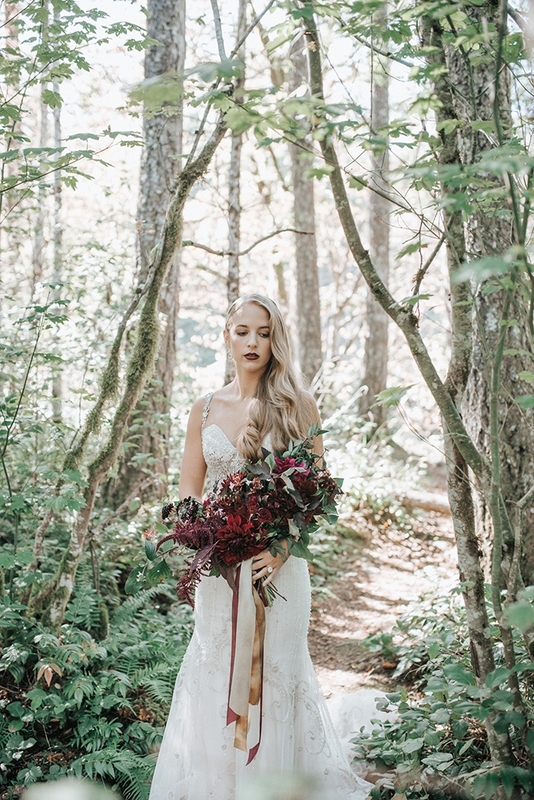 With a rich color palette of burgundy, plum, and gold, this shoot brings out the glitz and glamour of the era, while adding a relaxed rustic vibe any vintage lover would fall for. 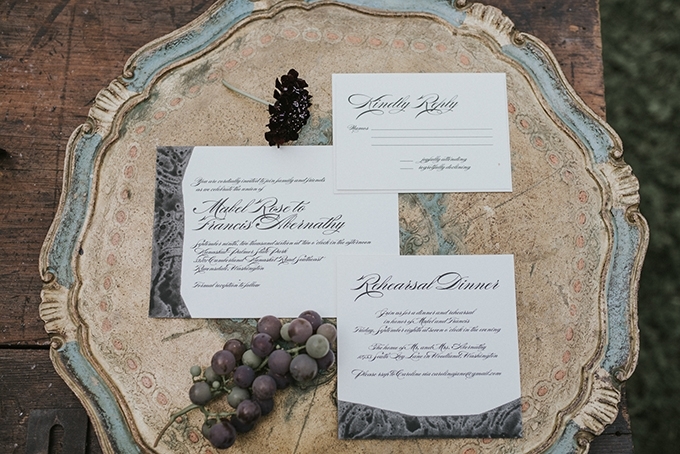 I love the ink dipped invitations and all the amazing colors and textures in the bouquet! 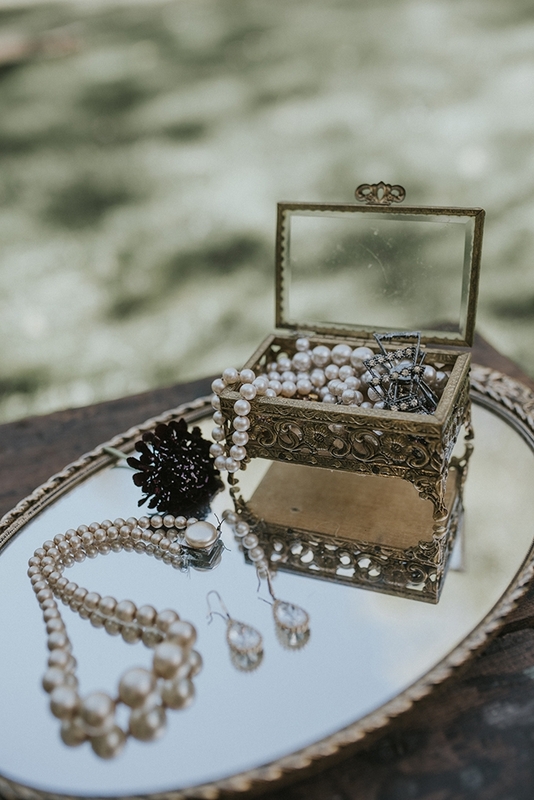 The 1930’s was an era filled with polar opposites in our nation, from poverty and dust bowls all the way up to the glitz and glamour of Hollywood and its attempts to take the everyman out of their meek and desolate world. 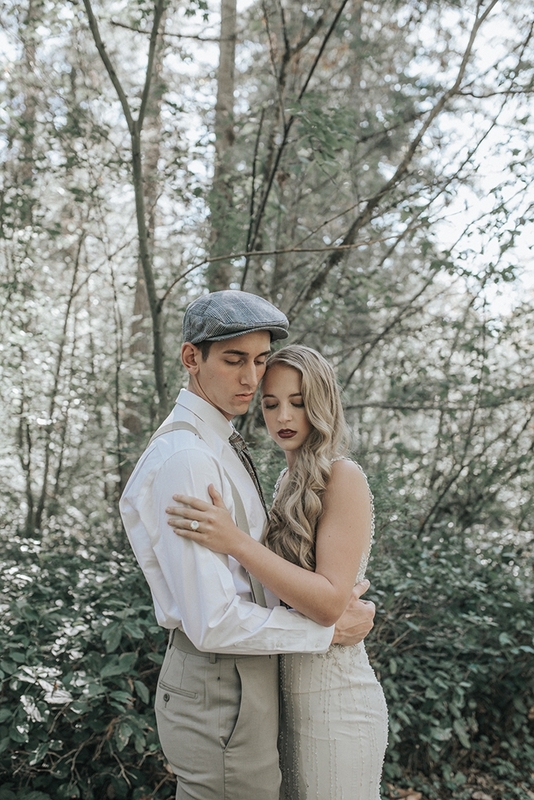 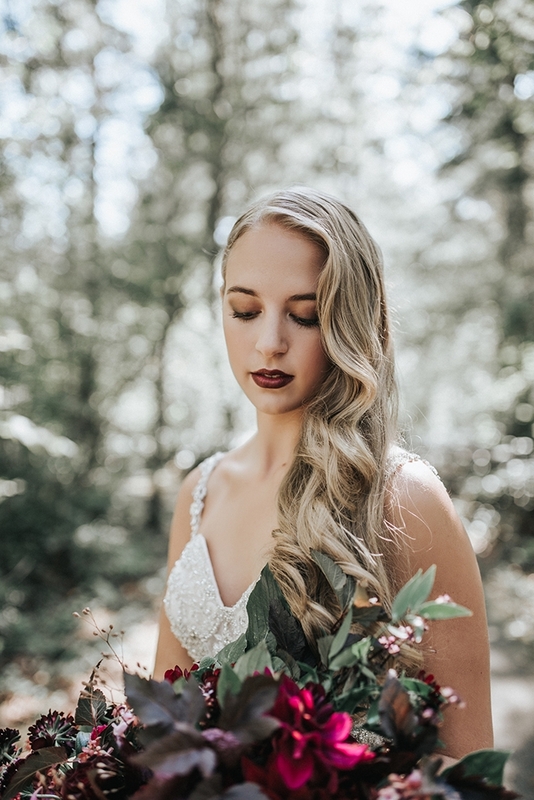 The inspiration of this shoot was the soft elegance of Hollywood in the early 1930’s, as well as the beautiful forests of Kanaskat-Palmer State Park. 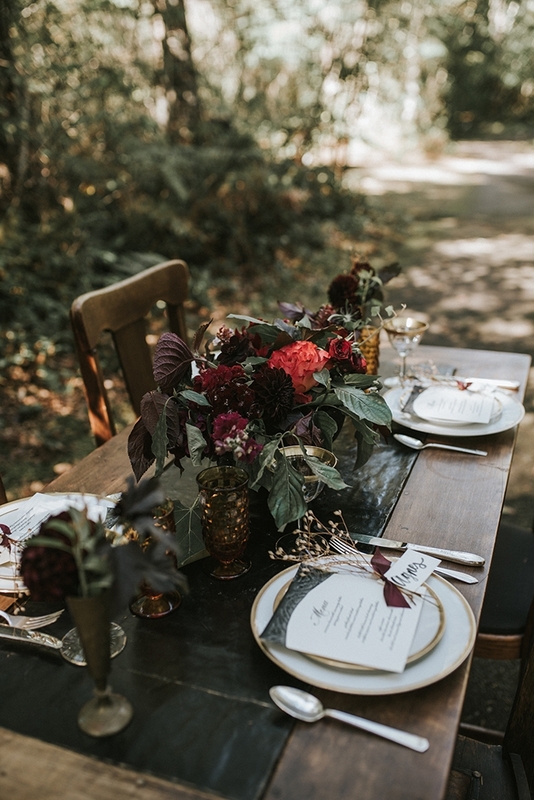 We attempted to stay as true and vintage to the period, with Vintage Ambiance providing gorgeous period pieces for our table set up as well as our lounge. 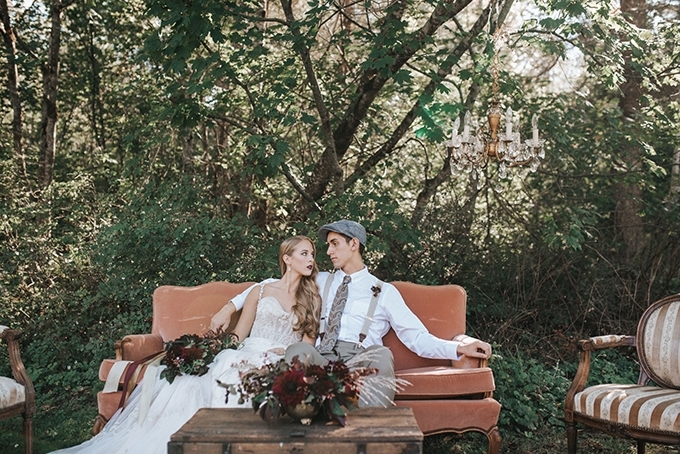 The deep and warm floral design by Leah Erickson Floral helped add to the vintage feel of the shoot. 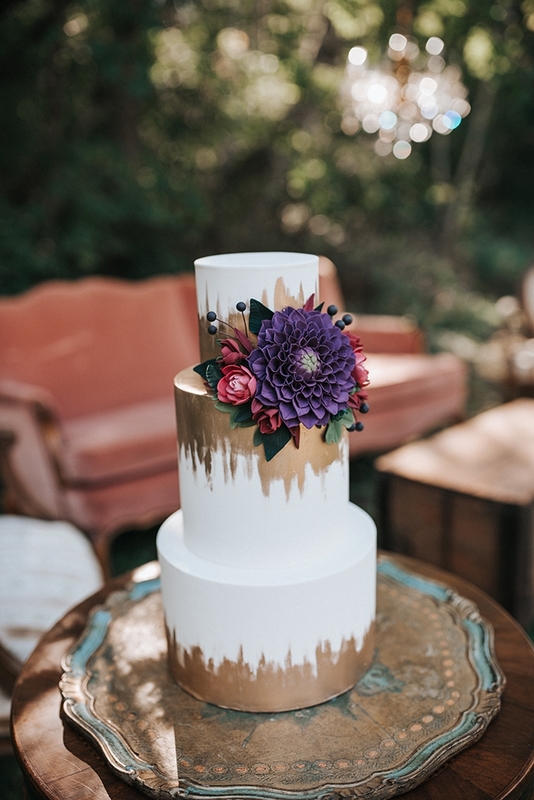 A simple but elegant cake with sugared flowers by Baked. 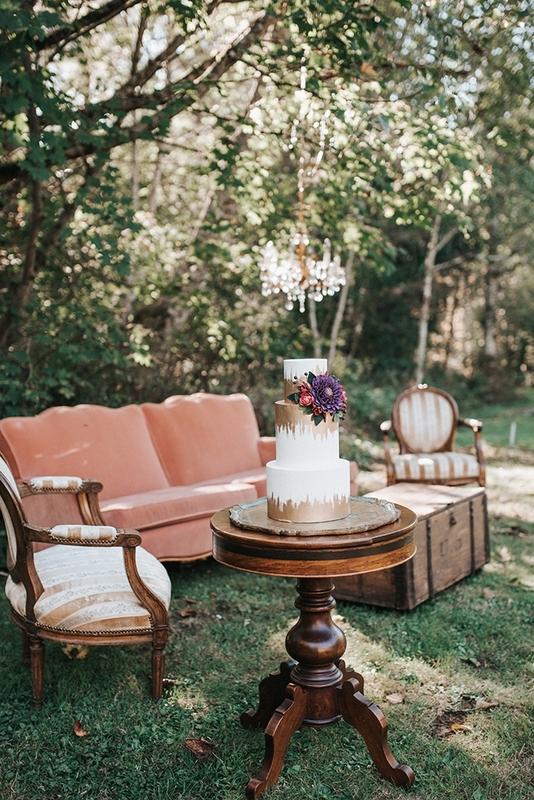 that echoed the floral arrangements brought together the entire lounge area. 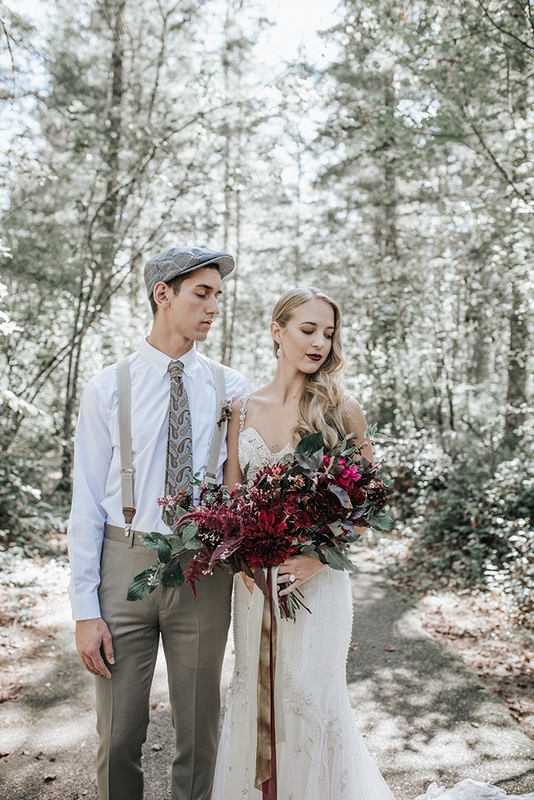 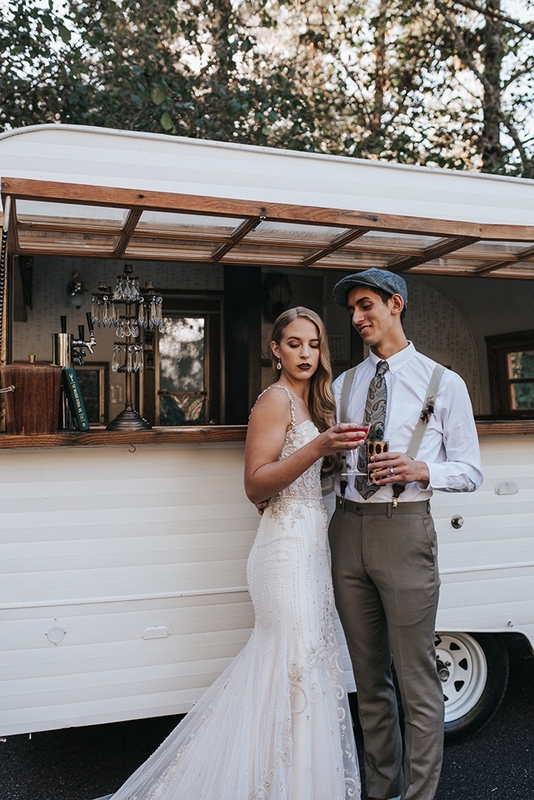 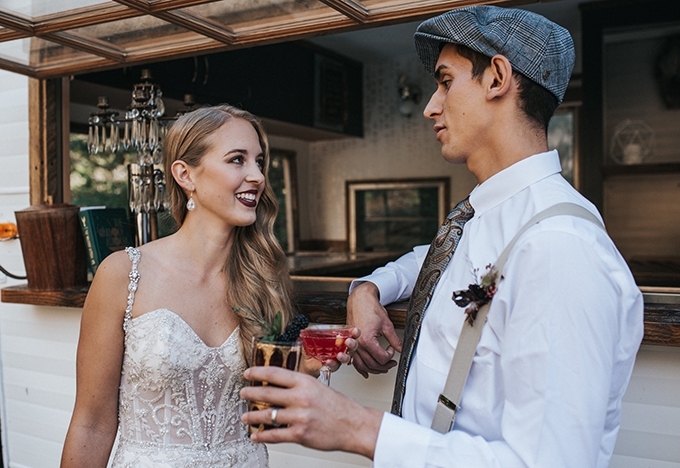 Keeping with the period, the bridal stylist Rachelle Witt found us the perfect art deco style Eve of Milady gown at MeaMarie Dress Atelier, while the groom looked dapper in separates, suspenders, and a pageboy hat from Nordstrom. 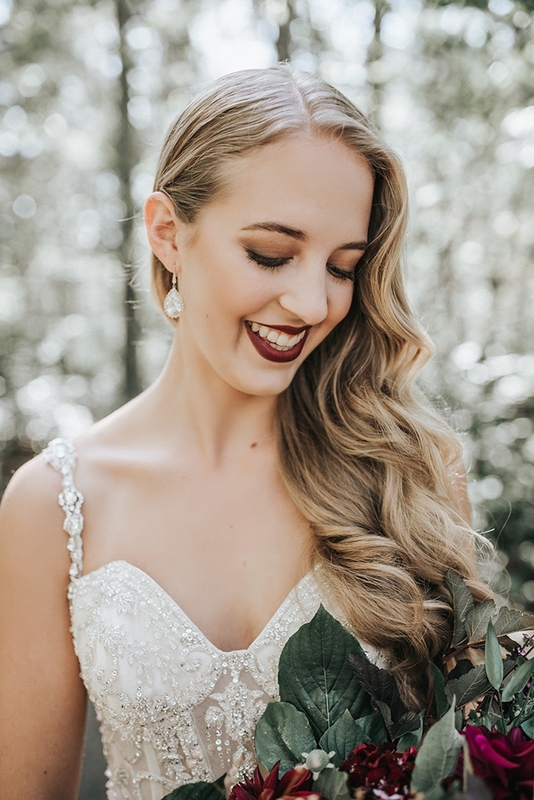 Hair and makeup echoed the vintage feel, with old Hollywood glam style waves and a bold lip look done by The Beauty Mark. 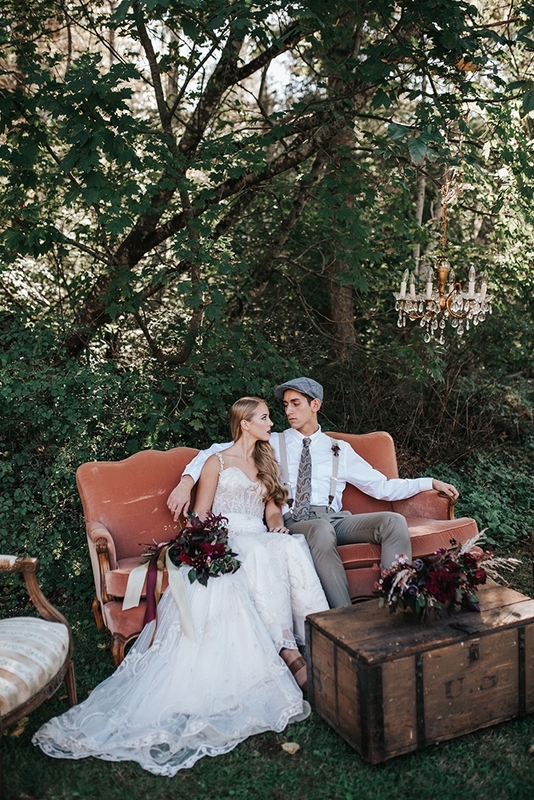 Incredibly beautiful wedding. 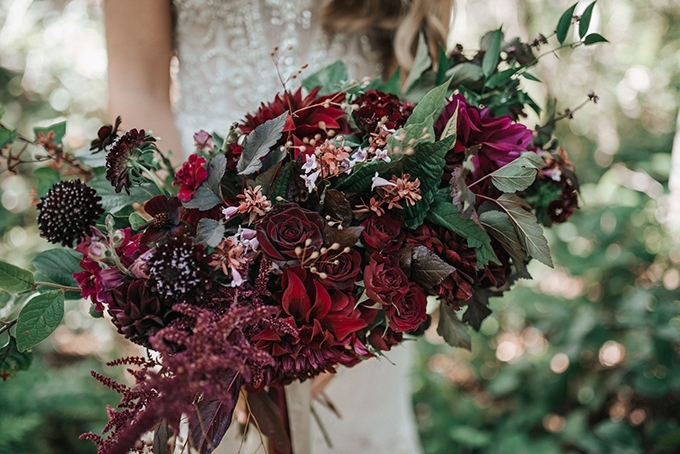 Those florals though..... Love.